in many major roles in the lyric and high mezzo repertoire, including Rosina, Cherubino, Sesto, Idamante, Siebel, Nicholas, Octavian, the Composer and the Fox. Carlstedt has also appeared as a guest performer all across Europe, her engagements including Dorabella with the Glyndebourne Touring Opera and in Guy Joosten’s production of Così fan tutte, which has travelled to Helsinki, Antwerp and Copenhagen; Annio at the Theater an der Wien; Varvara in Basel; and Olga in Eugene Onegin at the Royal Danish Opera, directed by Peter Konwitschny, and at the Savonlinna Opera Festival and the Wiener Festwochen. Lars Karlsson wrote the role of Greta in his opera Rödhamn for Jenny Carlstedt, and the work was premiered at the Finnish National Opera in 2002. Carlstedt is also much in demand as a concert soloist. 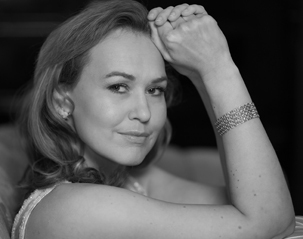 She has sung the major alto oratorio repertoire all around Europe with conductors such as Helmuth Rilling and Peter Schreier, Mahler’s Lieder eines fahrenden Gesellen and Beethoven’s Symphony No. 9 with Jukka-Pekka Saraste, Sibelius’s Kullervo with Okko Kamu and Mahler’s Rückert-Lieder and Das Lied von der Erde with the Finnish Radio Symphony Orchestra. In 2011, Carlstedt performed a programme of songs by Luciano Berio with Ensemble Modern at the Musiekgebouw in Amsterdam and Ravel’s Trois poèmes de Stéphane Mallarmé at Heidelberger Frühling with conductor Matthias Pintscher. In 2015, she made her début as Mélisande in Debussy’s Pelléas et Mélisande with the Chicago Symphony Orchestra under Esa-Pekka Salonen. Lately Jenny Carlstedt has also been involved in several contemporary music productions, appearing as Harper Pitt in Angels in America by Peter Eötvös and as Miranda in The Tempest by Thomas Adés. In 2014, she gave two world premieres: a piece for mezzosoprano and piano by Nina Sênk and 5 Portraits of Women for mezzosoprano and French horn by Aulis Sallinen with the Finnish Radio Symphony Orchestra. Her recording credits include Wellgunde in Wagner’s Ring on CD and DVD and Korngold’s Die Tote Stadt on the Oehms label and also choral works by Sibelius on the Ondine label.